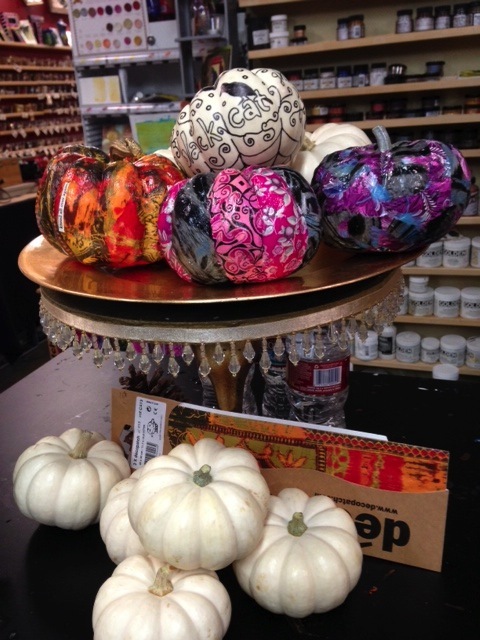 Drop in anytime during our ARTwalk between 7pm and 10pm to make and take a mini-pumpkin decoupaged with our unique papers imported from France. You can also use novel pages, magazine words and more! All instruction, paper, decoupage glue, and non-toxic varnish included. Varnished pumpkins will last until the end of the year, at least! No registration necessary! Just grab your friends and family and come on down to create . . . lots of great eateries and galleries nearby.